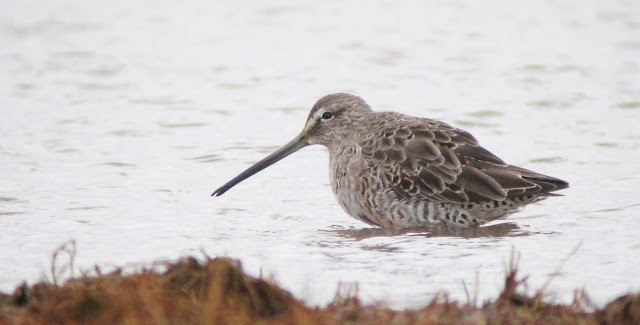 Long-billed Dowitcher at Cresswell Pond - showed really well for the fist four months of the year and gained nearly full summer plumage before it departed. 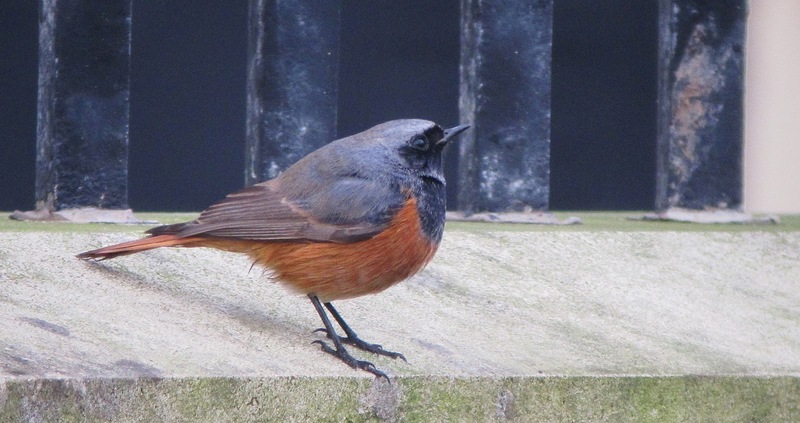 Bluethroat on Holy Island - followed a male at Hartlepool the previous day. 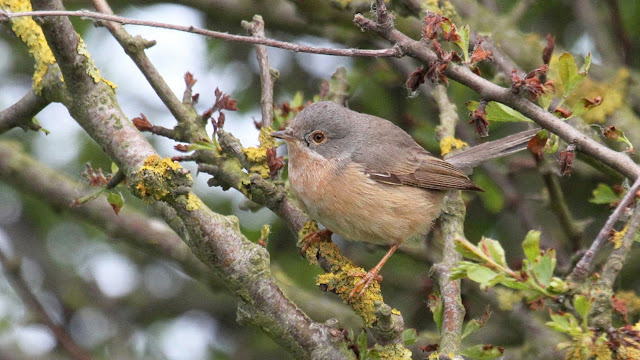 Western Subalpine Warbler on Holy Island - seen on the same day as the Bluethroat, this completed a great weekend which also included another Bluethroat, a pair of Whiskered Terns, a male Grey-headed Wagtail and 10 Dotterel. 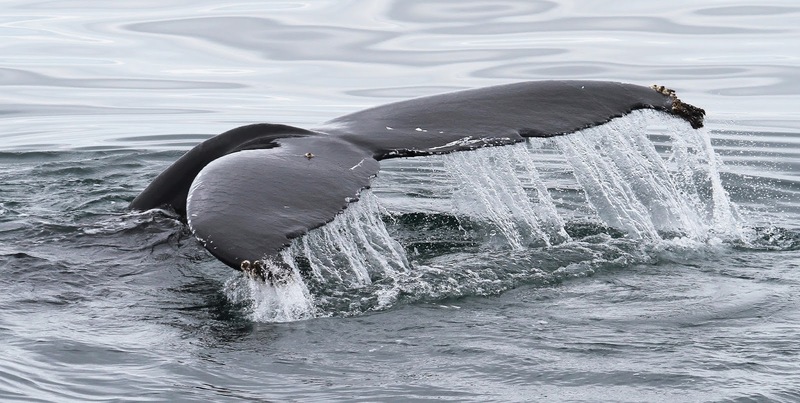 Humpback Whale out of Reykjavik - one of five seen on an epic whale watching trip out of Iceland's capital which also produced Minke Whales, White-beaked Dolphins and Harbour Porpoises. 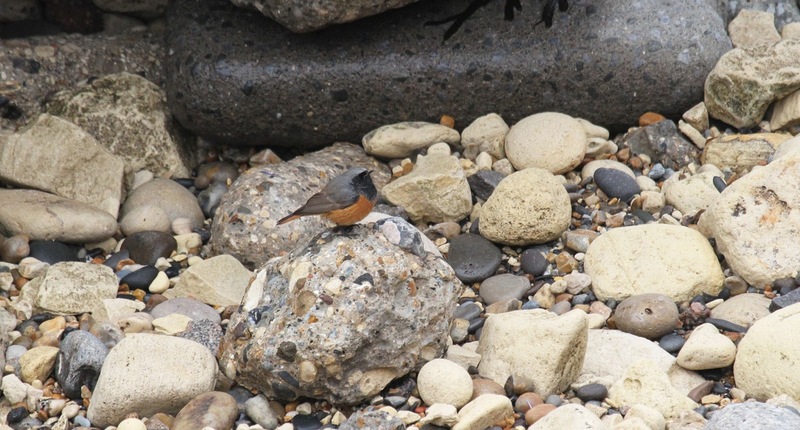 Birds on our holiday included a 'Blue' Fulmar and a female Harlequin Duck with 4 chicks. Spotted Sandpiper at Hauxley - five american waders were seen in Northumberland during 2016: Long-billed Dowitcher, Spotted, White-rumped, Baird's and Pectoral Sandpipers. White-rumped Sandpiper at Amble - my best self find of the year. Franklin's Gull at Whittle Dene Reservoir - just the second for Northumberland this was a nice surprise in mid-September. Siberian Accentor at Hendon - our first of the autumn! 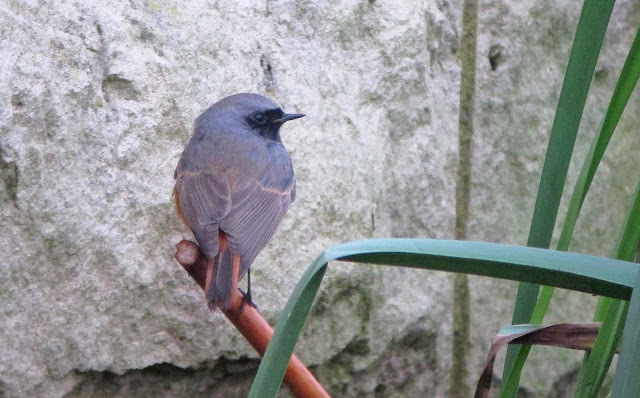 Another was seen at Newbiggin a few weeks later. 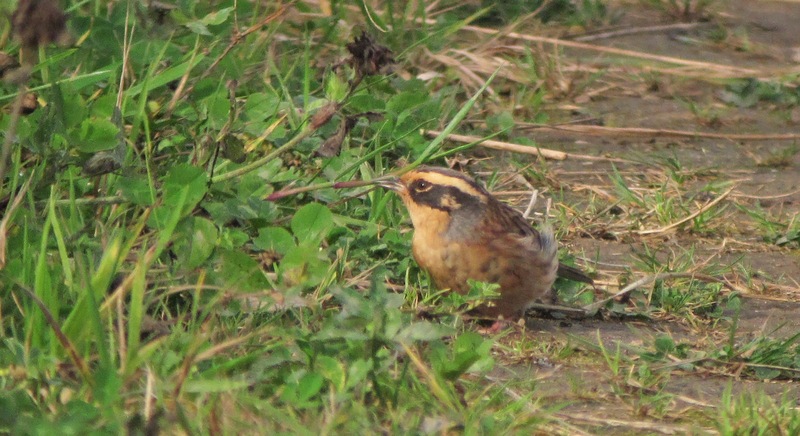 The influx of Siberian Accentors was without a doubt my highlight of the year. Isabelline Shrike at South Shields - perhaps one of the easiest twitches of the year, it was great to be able to just stand still and watch this long awaited lifer for a few hours. Eastern Black Redstart at Hartlepool - the autumn never really stopped giving! Other late autumn highlights included a self found Richard's Pipit and 7 Shore Larks at Chevington. 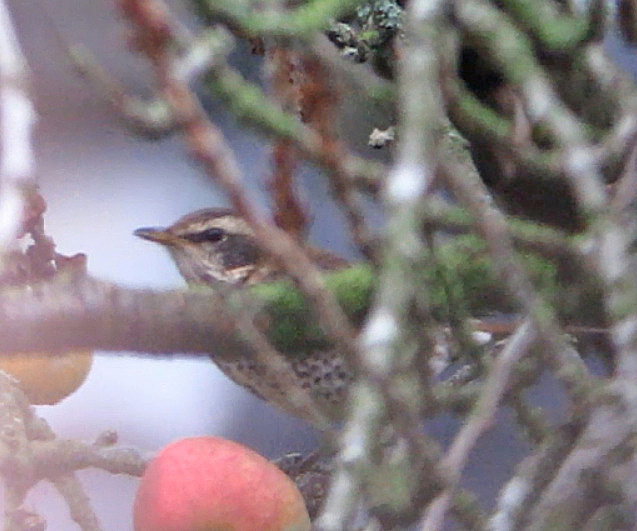 Dusky Thrush in Beeley - combined with a Pallid Harrier in Yorkshire later in the day, a great way to end the year! 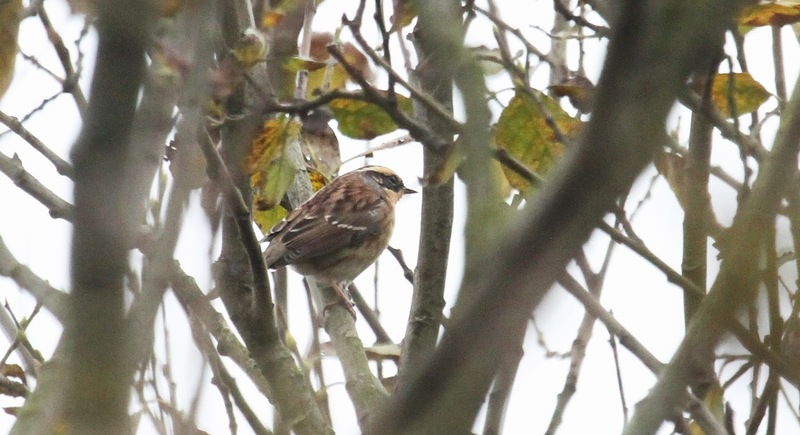 SIBERIAN ACCENTORS - Hendon and Newbiggin on 15th and 30th of October. Pallas's Warblers (one self found) - Holy Island on 8th of October. White-rumped Sandpiper (self found) - Amble on 21st of August. 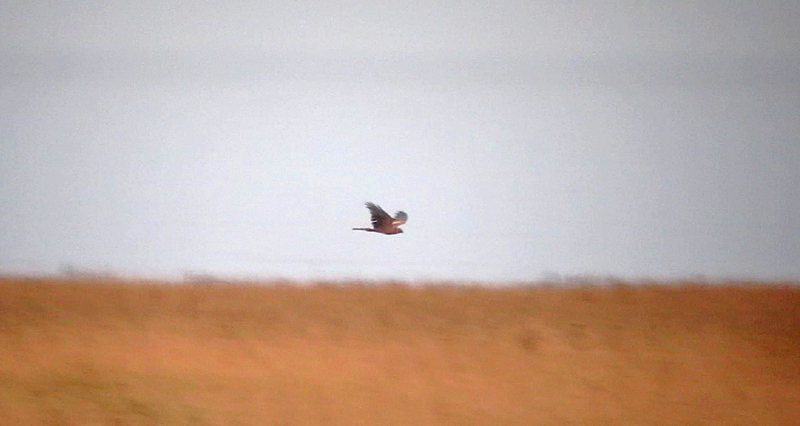 Pallid Harrier - Welwick on 10th of December. Spotted Sandpiper - Hauxley on 13th of August. 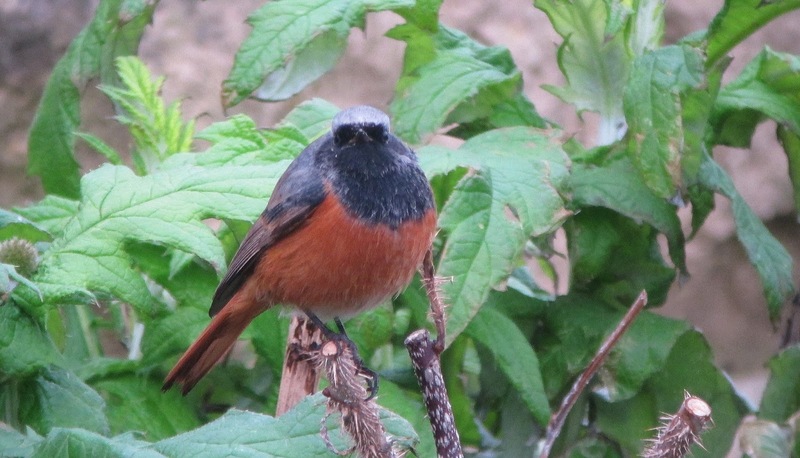 2016 was a lot better than we could of hoped for in terms of finds with my highlights being White-rumped Sandpiper, Pallas's Warbler and Richard's Pipit, while my dad found Glossy Ibis and Red-breasted Flycatcher. I'm really hoping our run of good fortune continues in 2017! Happy new year and thanks for reading my blog!! We fancied a change of scene today so decided to head up north to Stag Rocks and Bamburgh for a day of birding in that area. Budle Bay was quiet with only a Merlin in the dunes at the back and a Little Egret fishing in the main channel, so we headed up to Ross Sands for a bit of a walk. A number of Long-tailed Ducks and a couple of Slavonian Grebes were visible towards Holy Island. Fenham Flats produced around 15 Pintail and the usual good numbers of Pale-bellied Brent Geese. There were really good numbers of seabirds off Stag Rocks especially the 75+ Long-tailed Ducks which were mostly made up of stunning adult drakes. 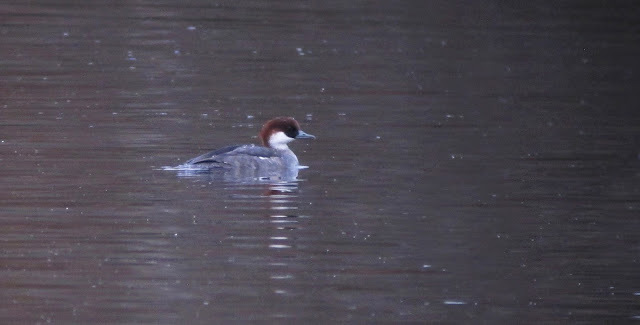 Other birds off here included 9 Slavonian Grebes, 3 Great Northern Divers, 7 Red-breasted Mergansers while 76 Purple Sandpipers were on the rocks. Went out this morning with the intention of checking some local goose flocks. 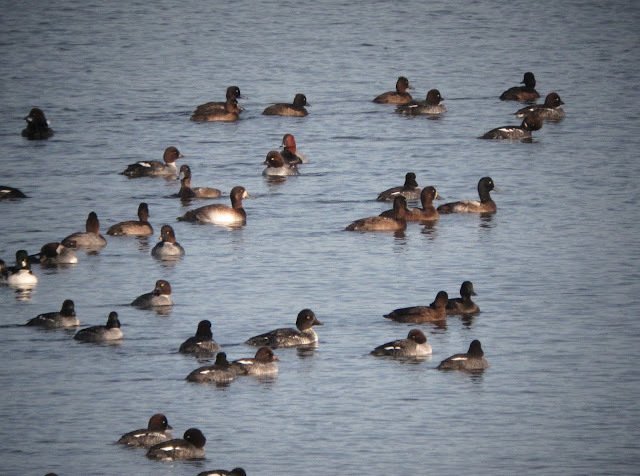 First we headed to Longhirst where my dad had seen a large flock of Pink-feet yesterday afternoon. 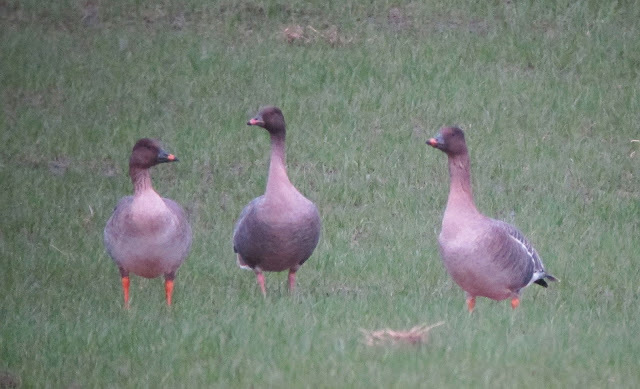 There were a lot less Pink-feet today, but the small flock of around 100 PFG did contain 3 Tundra Bean Geese, a single adult Greenland White-fronted Goose and 18 adult Europeans. We were able to watch them at close range from the car and in nice flat light and a Green Sandpiper also flew off the flooded fields - my first winter record in the county. A good start to the day! 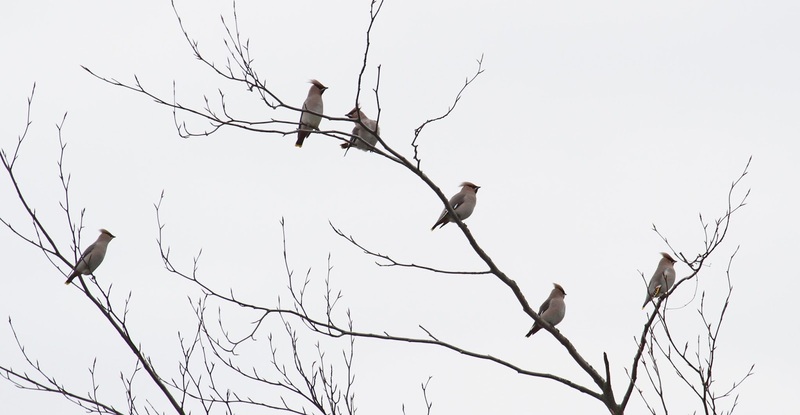 Next to Druridge where we discovered another flock of around 100 Pink-feet in the fields just west of the coal road. 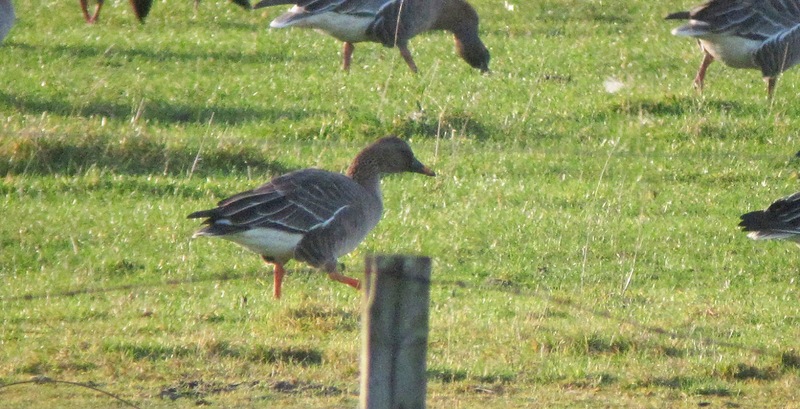 Here was another 5 Tundra Bean Geese and 7 more Euro White-fronts. The weather now closed in so we headed home. On a relatively quiet look around the patch this morning a Tundra Bean Goose with the Pink-foot flock just northwest of the causeway at Cresswell Pond was the highlight. 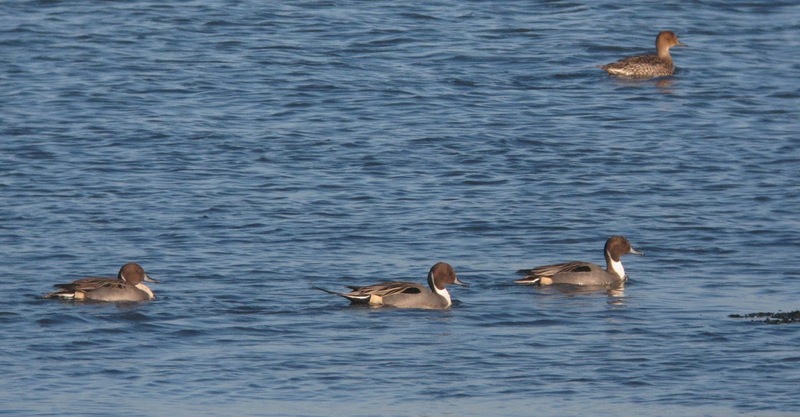 We also thought there was another Bean Goose, though with better views we decided it was just a Pink-foot. Other sightings included 2 Barnacle Geese also at Cresswell, the Hen Harrier again at Druridge Pools along with a couple of Pintail, and the long-staying Long-tailed Duck at Bothal Pond. Tundra Bean Goose - in the poor lighting we found the bill shape and lack of white in the tail useful clues. 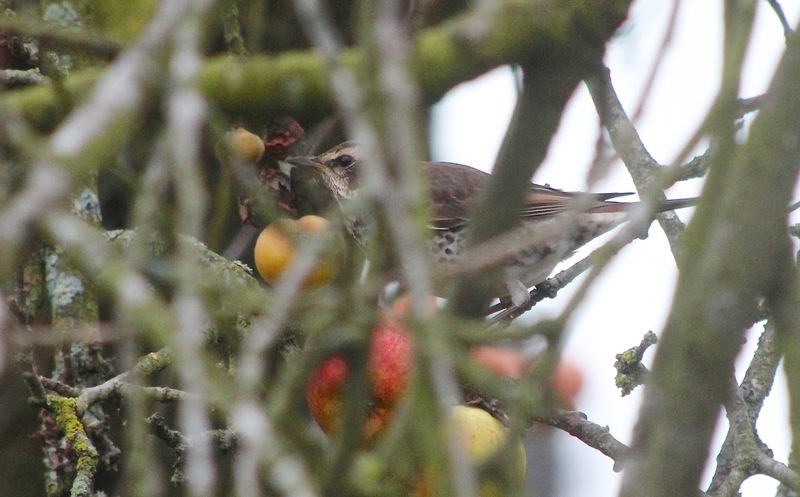 At around 08:20 the first-winter DUSKY THRUSH returned to feed on the apples in the 'orchard'. Through the heads I was able to get some good scope views before it flew off. It was just after twelve when we eventually saw the bird again. Some brief but really good views of it in the orchard again before it flew to the fields over the back where it showed for a couple of minutes sat in the tops of trees. Other birds seen included a Peregrine and a couple of Ravens nearby, while Tawny Owls were calling from the woods. From here we decided to head east to Welwick Saltmarsh in East Yorkshire for hopefully my second lifer of the day. Within just a couple of minutes of getting out of the car we had seen a Short-eared Owl chasing a male Marsh Harrier and then our target - the juvenile Pallid Harrier. 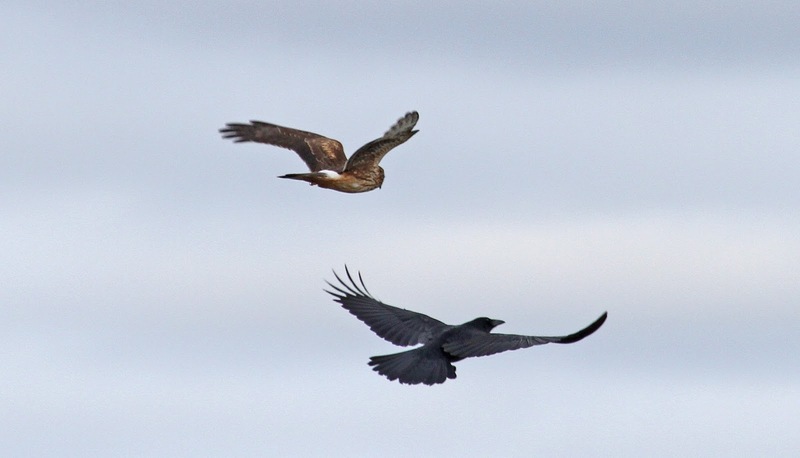 We were treated to a number of awesome flybys from the Harrier over the next hour or so, while another Short-eared Owl appeared along with another Marsh Harrier. 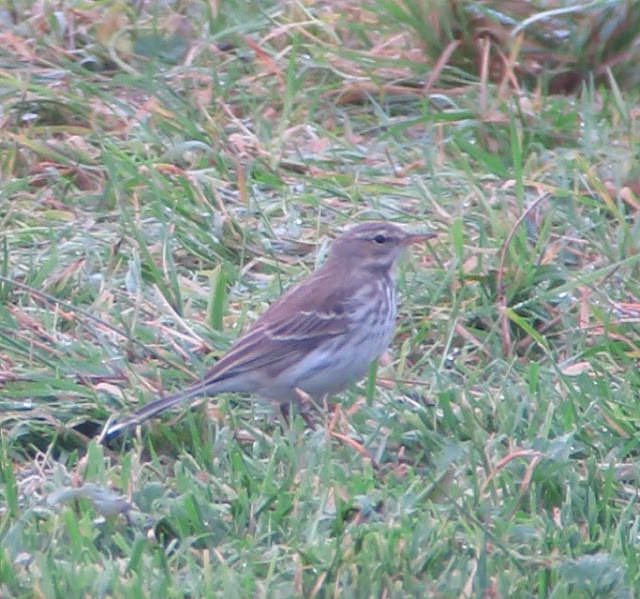 At least three Water Pipits were also flying around, though I suspect there was more. Sadly getting good photos was impossbile in the fading light. A great end to a brilliant day - one we'll remember for a long time! Surely there can't be any more surprises before the end of the year..? The poor videograb I managed! 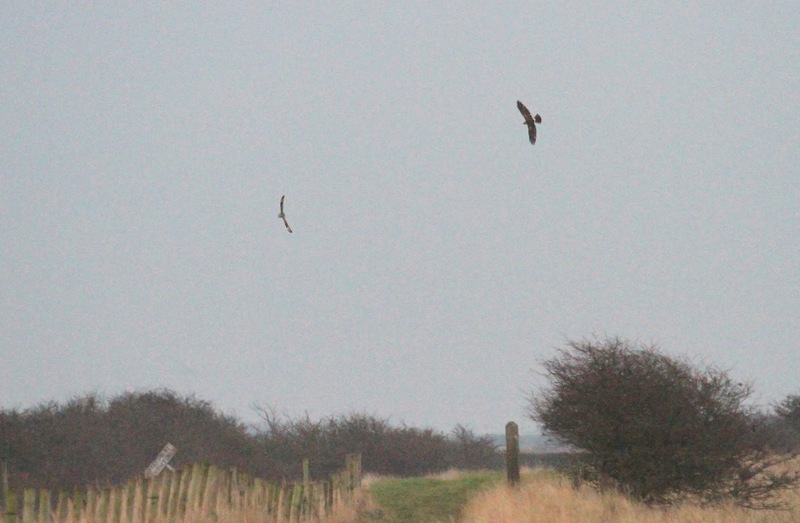 Pallid Harrier record shots - chasing a Short-eared Owl in the last two! Headed straight to Chevington this morning for another go at the Shore Larks, and at first it seemed we were in for another dip, as the birds flew off minutes before we got there. However, we needn't have worried as within forty minutes the seven Shore Larks had reappeared at the burn mouth. They showed well throughout the morning and we're still around when we returned in the evening. 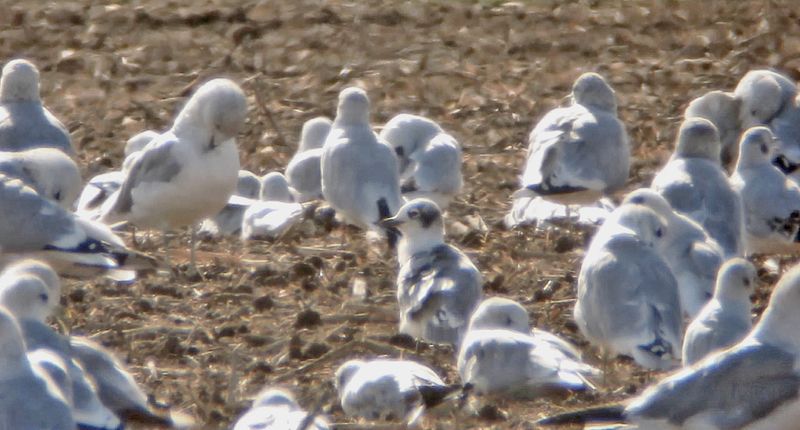 Great birds as ever, and my first flock in Northumberland! 2 Great Crested Grebes were also offshore. While watching the Larks my dad mentioned that quite a lot of pipits were flying around the sea pool, so we wandered over, and he managed to pick up a Water Pipit among the 20+ Meadow Pipits. All the birds then flew towards the south pool. 7 Whooper Swans also flew over along with 3 Long-tailed Ducks. 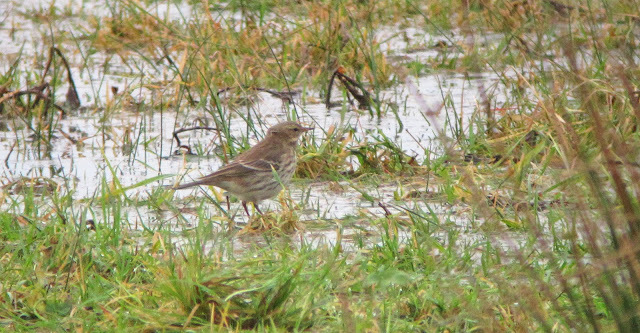 Next we went to Druridge Pools where I picked up a Water Pipit from the screen. 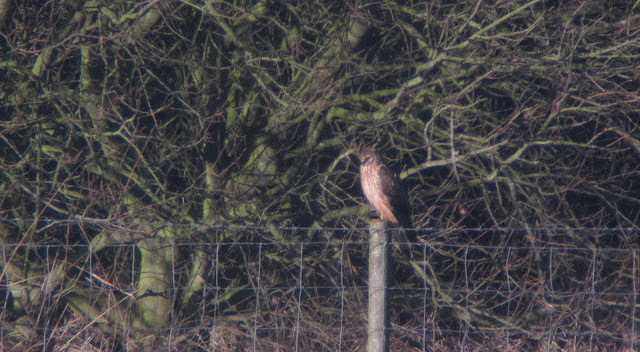 It was joined by another and they gave great views for a while, before a Hen Harrier flew across the fields flushing all the birds. Cresswell was quiet with 2 Little Egrets, 4 Red-breasted Mergansers and a Kingfisher the best on offer. 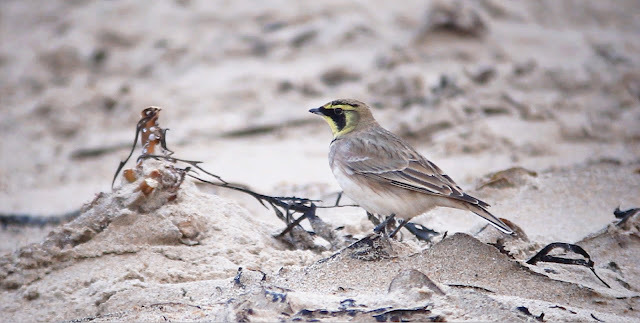 Shore Larks - second photo only included to show all seven together! 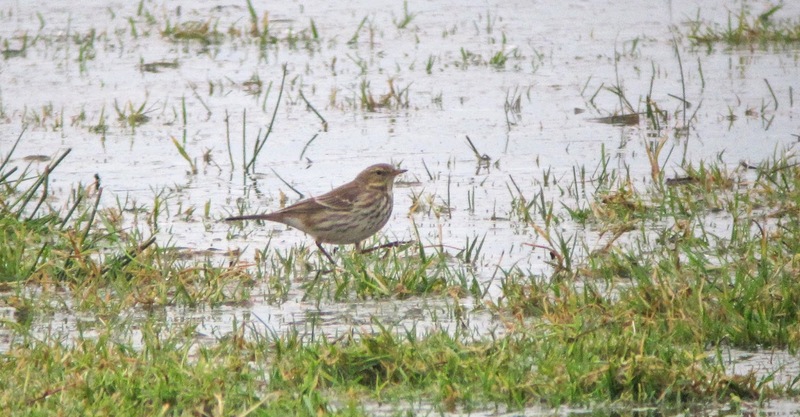 Water Pipits at Druridge Pools - the last two photos show the two different birds. Hen Harrier - still haven't managed a decent photo of this bird! We were visiting relatives in Teesside yesterday afternoon so decided to call in at Hartlepool Headland and Saltholme on the way down. 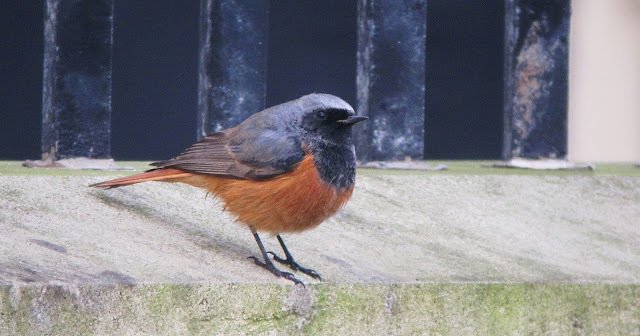 As soon as we arrived at Hartlepool the extremely smart first-winter male Eastern Black Redstart was showing well in the memorial gardens, and at one point it approached to within a few metres of us on the grass at the Heugh. We were also able to watch 7 Whooper Swans fly over the sea and into the Tees Bay. Saltholme provided a Long-tailed Duck, Long-eared Owl and a probable fly-over Water Pipit. This morning it was back to the patch, and we stayed for the whole time at Chevington north pool. The number of wildfowl was once again impressive, including lots of Goldeneye, 3 Long-tailed Ducks, 8 Pintail and an incredible 20 Scaup! My dad spotted a ringtail Hen Harrier flying south through the dunes, a Kingfisher flew along the east edge and 16 Black-tailed Godwits flew over south. I then heard an almost sparrrow like "shreep!" 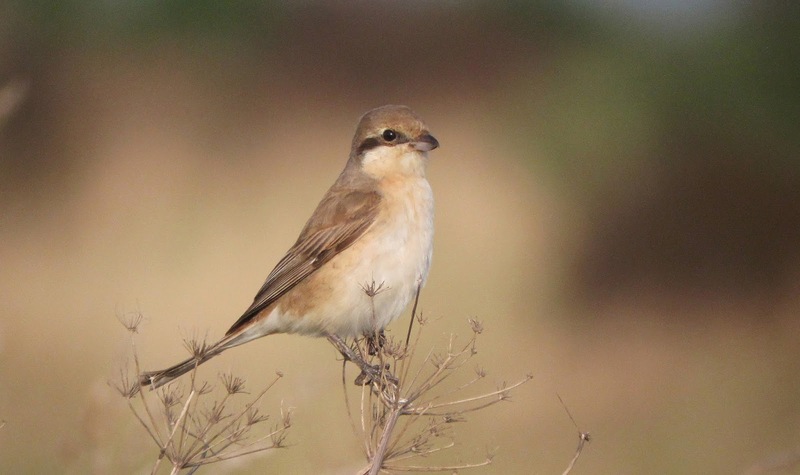 come from above us and looked up to see a long-tailed, long-winged, sandy coloured bird flying north. 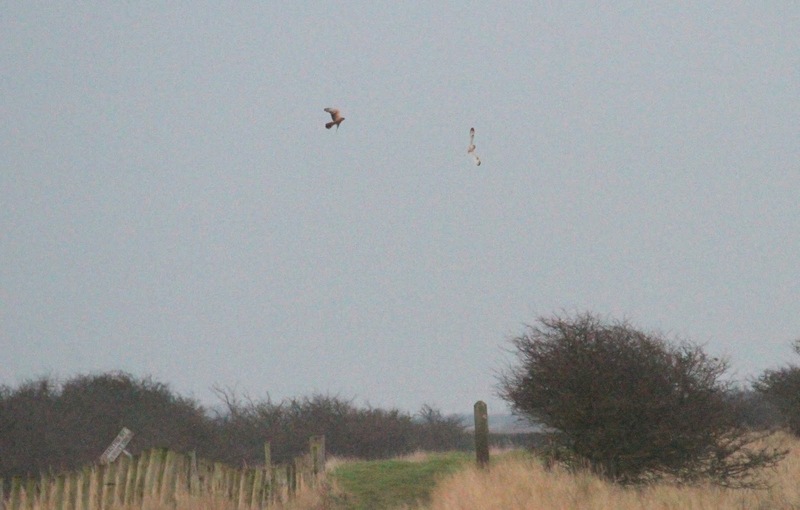 Somehow ADMc managed to get the bird in his scope and confirm it was a large pipit. 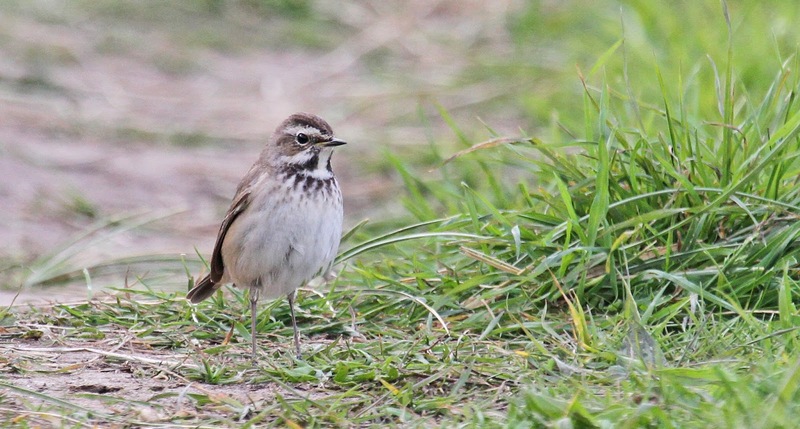 A Richard's Pipit!! Just my second in Northumberland and a very welcome self found tick. We drove home via Ashington, where there were 6 Waxwings by the police station and c.25 more flying over North Seaton Cemetery before disappearing into the nearby housing estate. 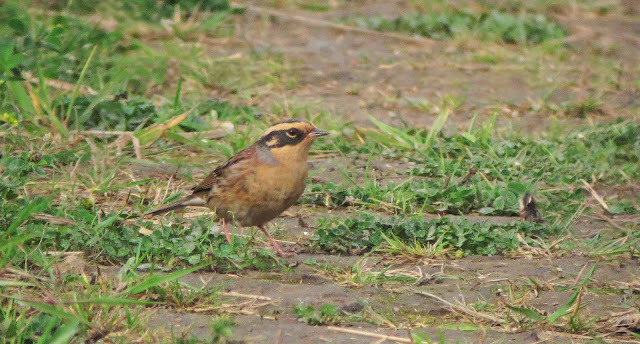 After an anxious wait of about an hour and a half this morning, eventually the stunning SIBERIAN ACCENTOR appeared feeding on the its favoured track. While everyone stood still the bird would happily work its way along the path to within about ten metres of the crowd, and not only did it become extremely close, the sun was also out and the Accentor was in really bright, smart plumage. What a bird!! A Great Northern Diver also flew over high, heading inland while we were there, and a Great Spotted Woodpecker was in the bushes.